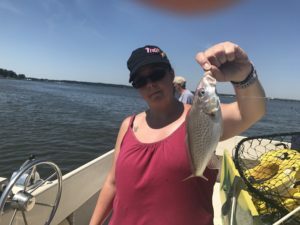 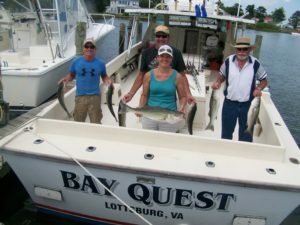 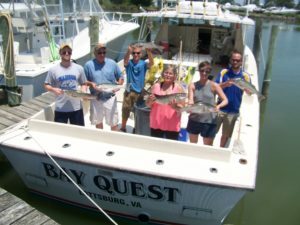 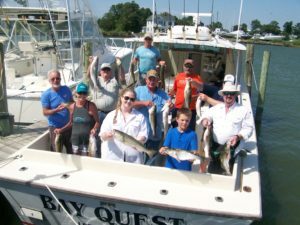 A big thank you for fishing on the Bay Quest. 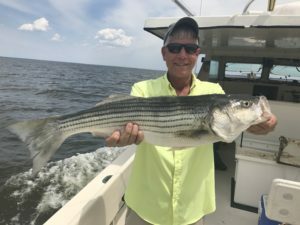 We have had nice cool summer days but hot fishing! 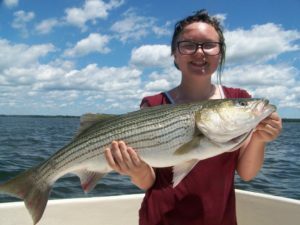 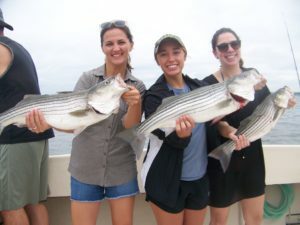 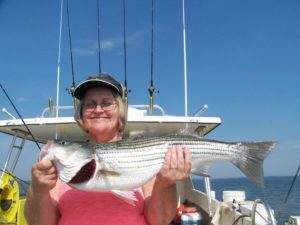 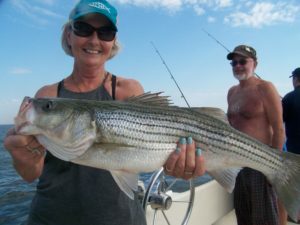 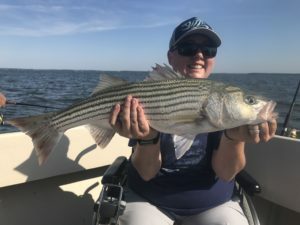 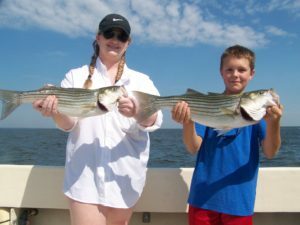 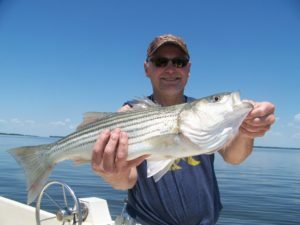 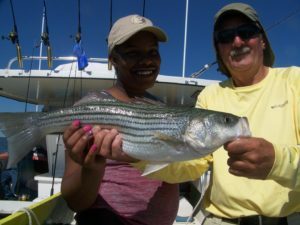 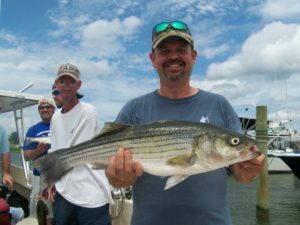 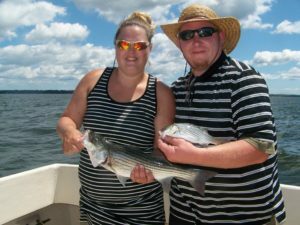 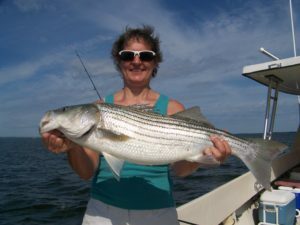 It’s been no problem catching nice Stripers chumming using lite tackle . 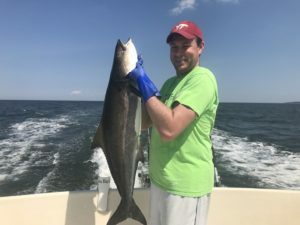 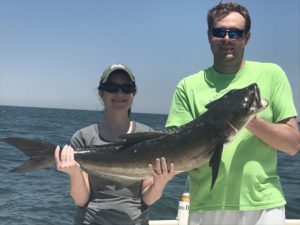 There have been some good catches of Bluefish & Cobia also & the spotter planes have seen schools of the big Red Drum heading my way so it won’t be long until we’ll start going after those as well. 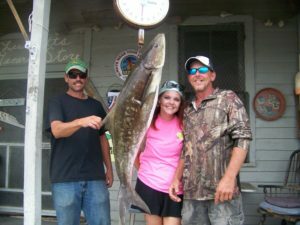 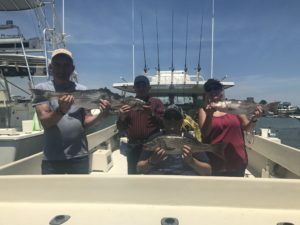 I took my son and daughter-in-law fishing for Cobia & we couldn’t have asked for a better day of fishing. 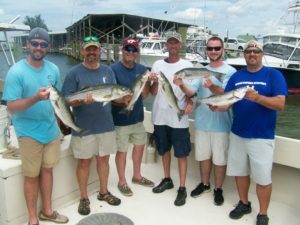 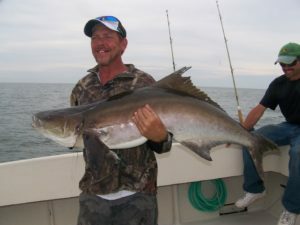 Lots of action and they’ll be having Cobia steaks for a good while. 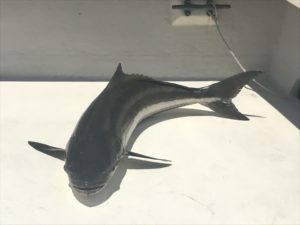 We saw more Cobia than I have seen in several years. 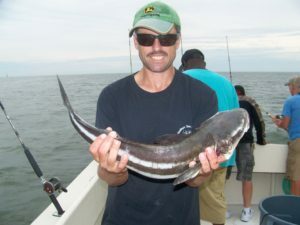 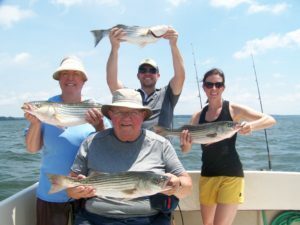 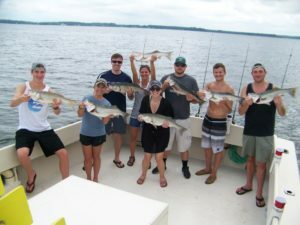 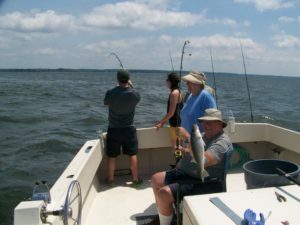 Chumming for Rockfish is excellent but I am looking ahead for some Cobia, Red Drum, & Bluefish charters. 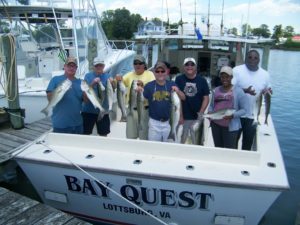 If you are interested please call me at 804-366-5050 to set up your charter. 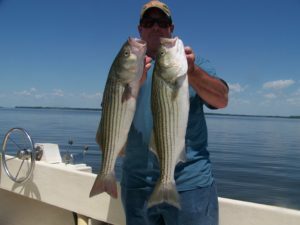 They won’t be here all summer so you need to get your day reserved now while the fishing is hot.